If you're here on a Thursday or Friday, be sure to hit up Papa Dogs for their tri-tip sandwich. With au jus for dipping, a side of fresh coleslaw, chips and a drink, this hearty lunch never disappoints. Their gourmet hot dogs are well-loved and the hot sandwiches are delicious. 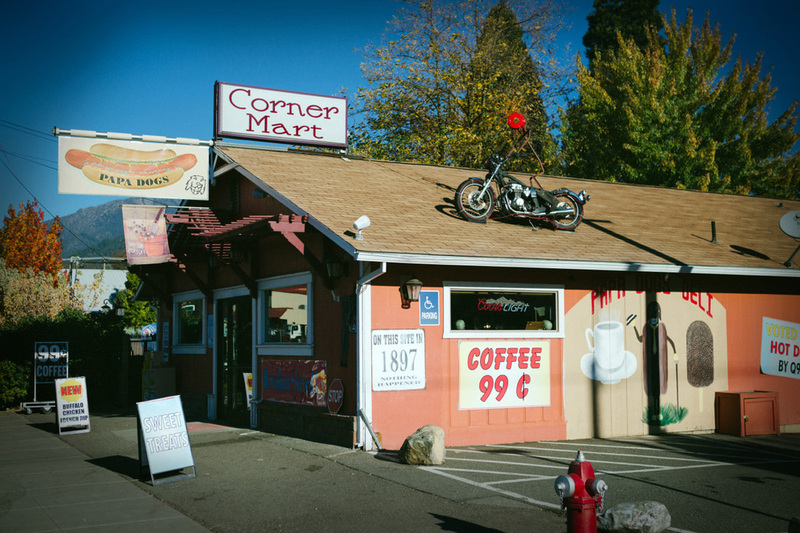 They have a lovely outdoor seating area and the convenience of a corner mart if you are in need of a few things. Our very own family-run classic burger joint. Their customized burgers like the Cowboy are all super yum. But the classic is the Miller Special. What we love is that they serve diary-free gluten-free soft serve that is out of this world! They serve other stuff too like chicken nuggets, chicken sandwiches and the like but if you're a burger fan, stop in and give Betty a high five. Our most historic feeling restaurant, La Grange takes you back to a day when men sauntered in with spurs. The fare is top-notch and the atmosphere can’t be beat. Some of our menu favorites include the reuben, the salmon, and the smoked chicken salad and don’t you dare skip the marionberry cobbler. Call ahead for reservations at dinner because it fills up quickly. This eclectic coffee shop cafe is a rare find. Their array of teas and coffee flavors is staggering and their sandwiches and wraps are absolutely delicious. Our fave is a turkey bagel sandwich with sprouts, cucumber and sundried tomato hummus. It's also a comic book lover's paradise. The Chinese food place in town is also in a wonderfully old historic building painted fire engine red. They serve classic Chinese dishes that are never oily and always just plain good. Try the fried rice and broccoli & beef. So tasty. A quaint little green and white house on Main Street is the place for country ambiance. Their breakfasts are especially good and if it’s a nice day, their patio is idyllic. Don’t let the location turn you off, the breakfast burritos here are out of this world. We love the chef at this little Mexican food place and often stop by for a tray of tacos in the afternoon. It’s worth the drive. The coffee is excellent and the brick oven pizzas are in a class of their own (the Arugula pizza is good enough to make even the most discerning foodie grin). But the crown jewel at the Strawhouse is their show-stopping riverside patio view. The Strawhouse also has beautiful guest cabins we highly recommend. 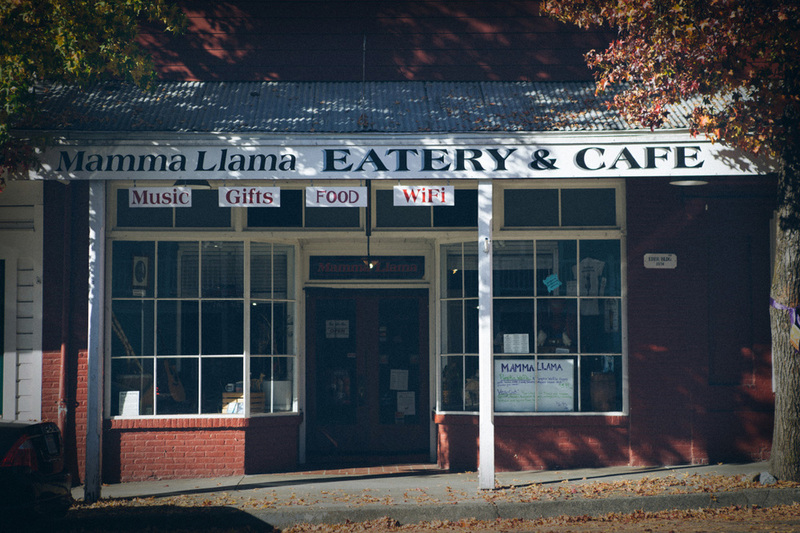 Although they aren’t technically a restaurant, we would be remiss in leaving out this hidden Weaverville treasure. People travel from all over to stop in for a coffee at the Red House. Their patio is legendary, the drinks are all fantastic and the staff is always friendly. Be sure to hit their drive-thru on your way in or out of town. Or better yet, head over for a team meeting on the patio. You’ll love it!